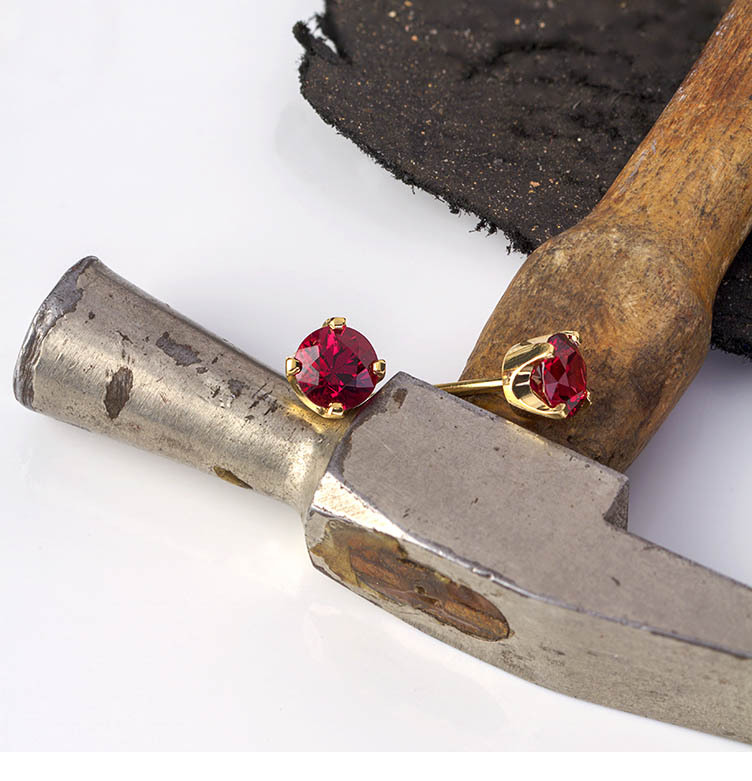 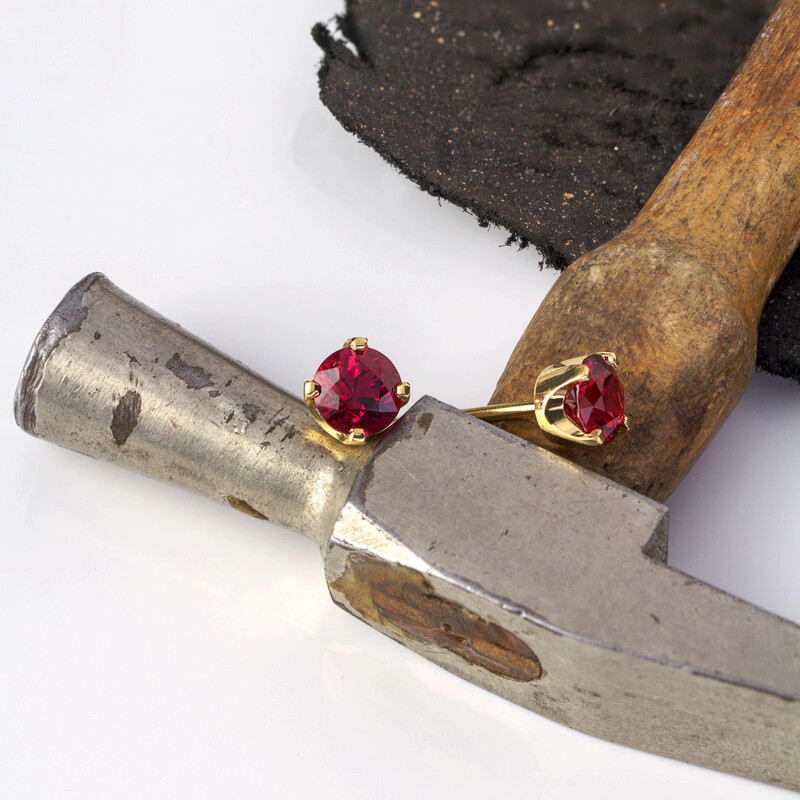 Gorgeous Red Spinel stud earrings handcrafted by Matthew in 18ct yellow gold. 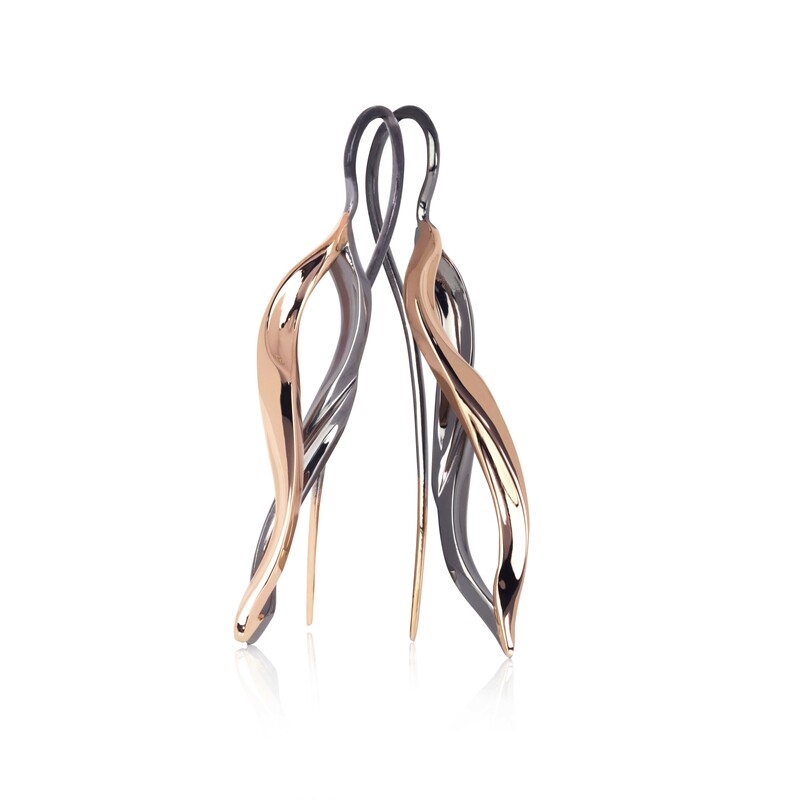 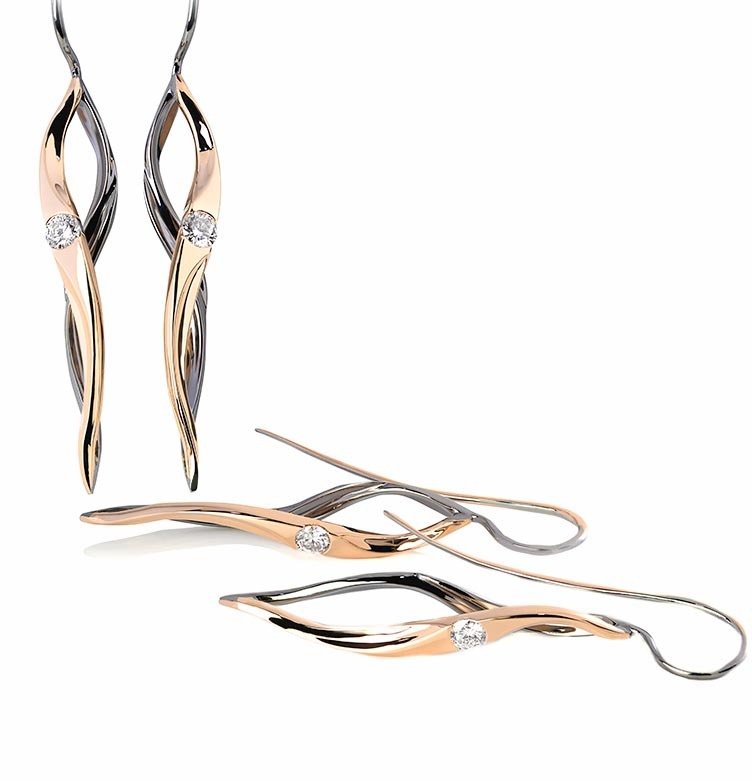 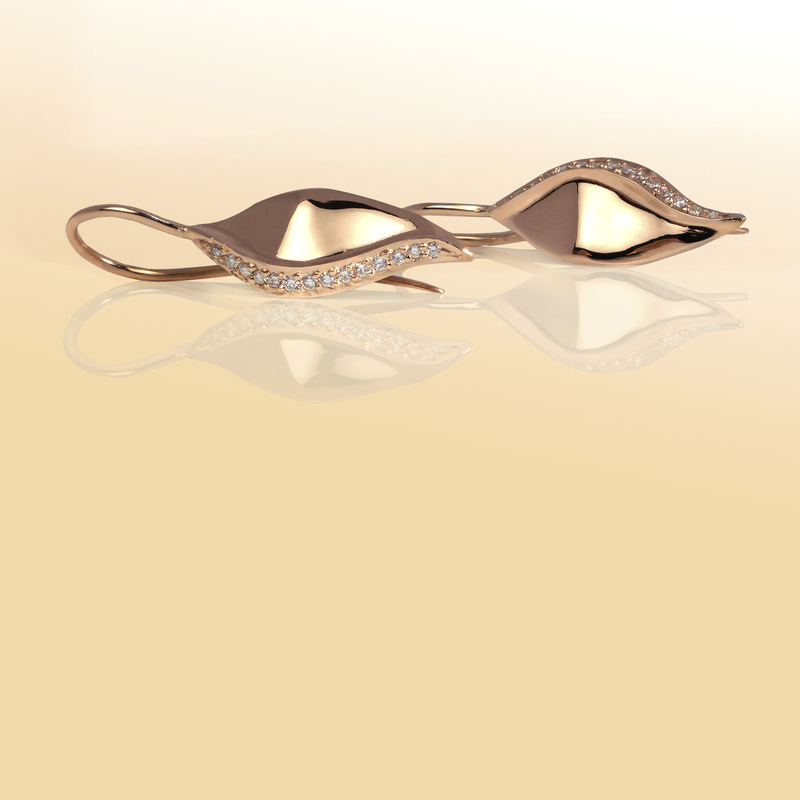 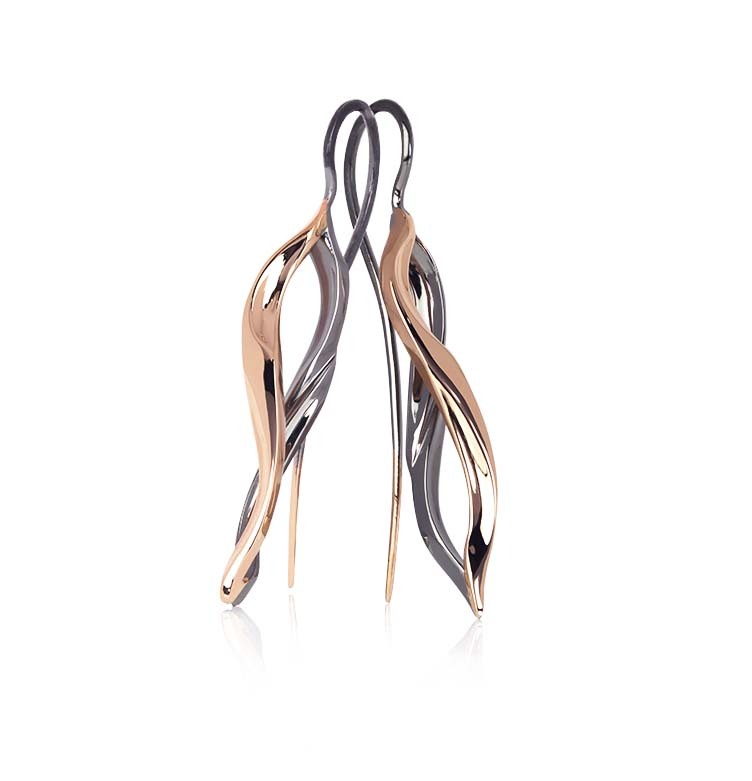 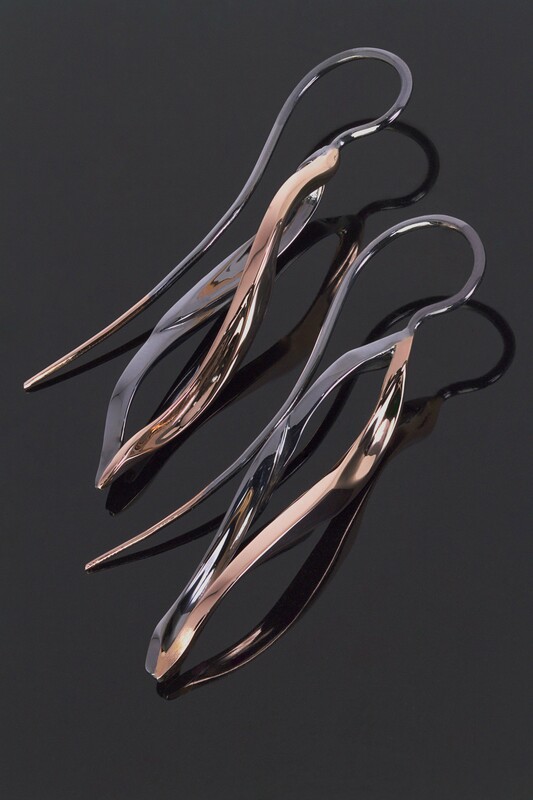 "Flame" - The award winning design crafted in 18ct Rose Gold, Finished earring length of 55mm. 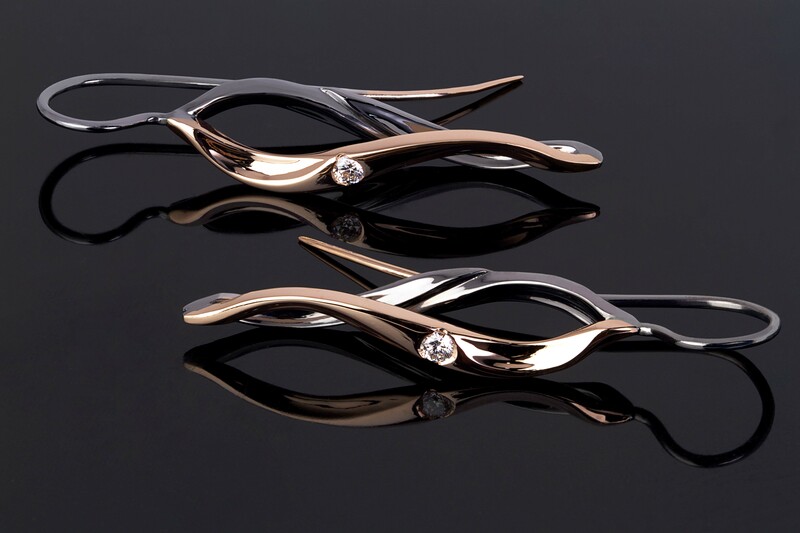 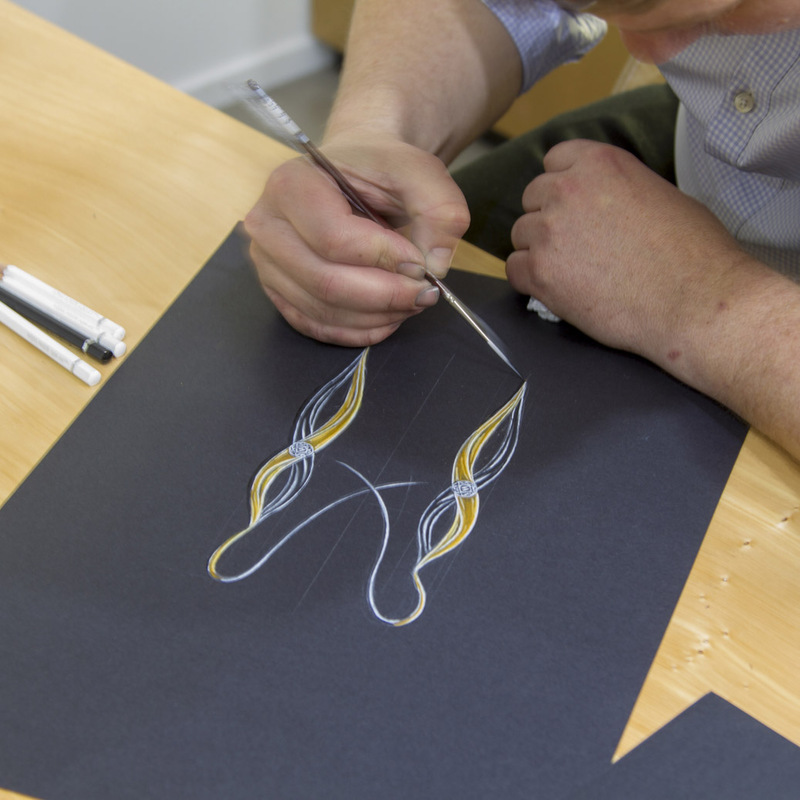 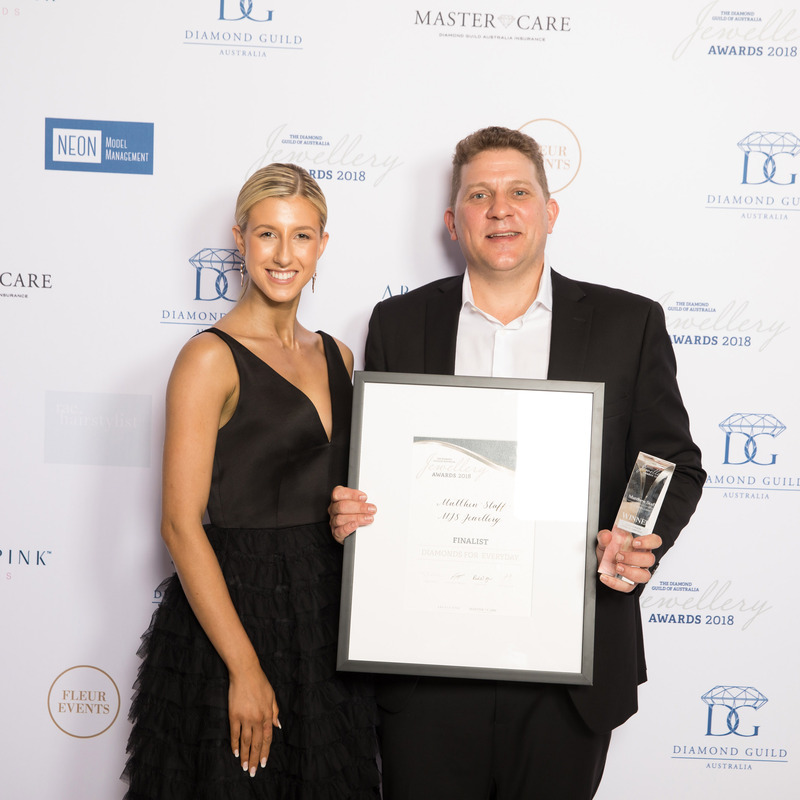 All prices are (AUD) GST INC.
"Petite Flame" - A scaled version of the award winning design. 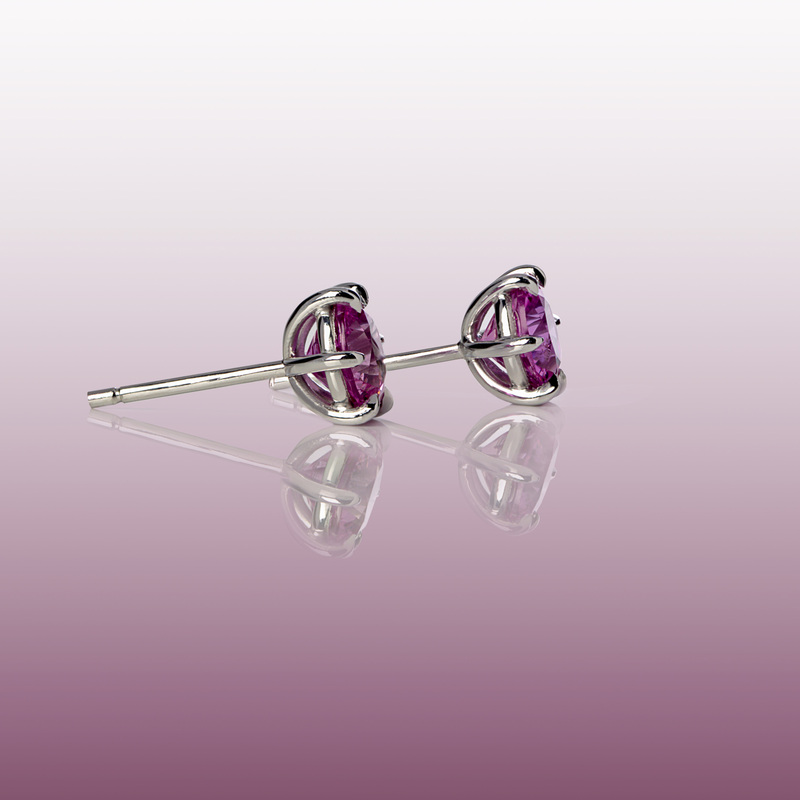 Finished earring length of 45mm. 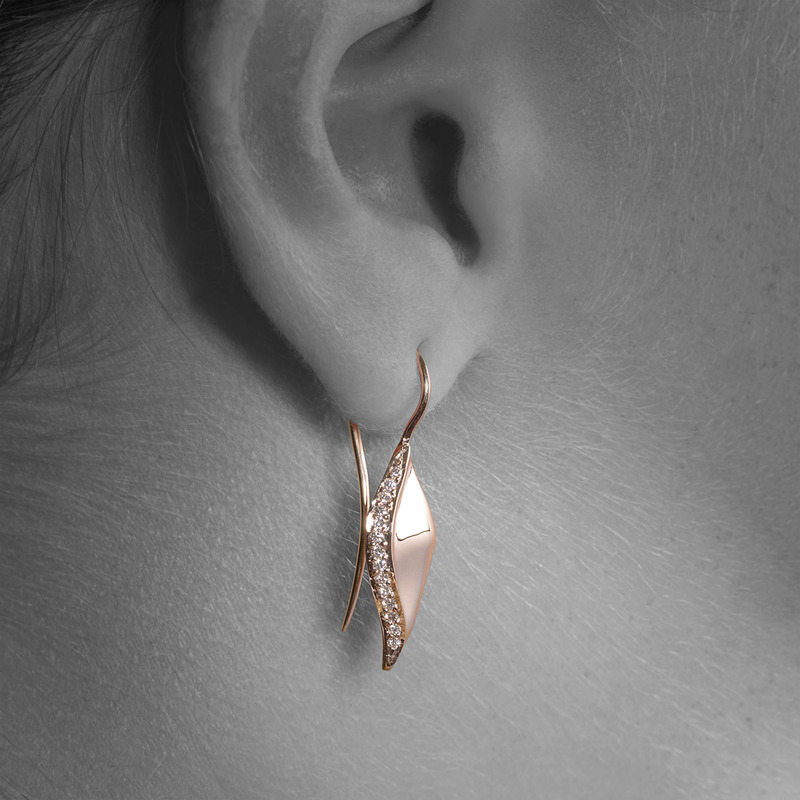 18ct Rose Gold. 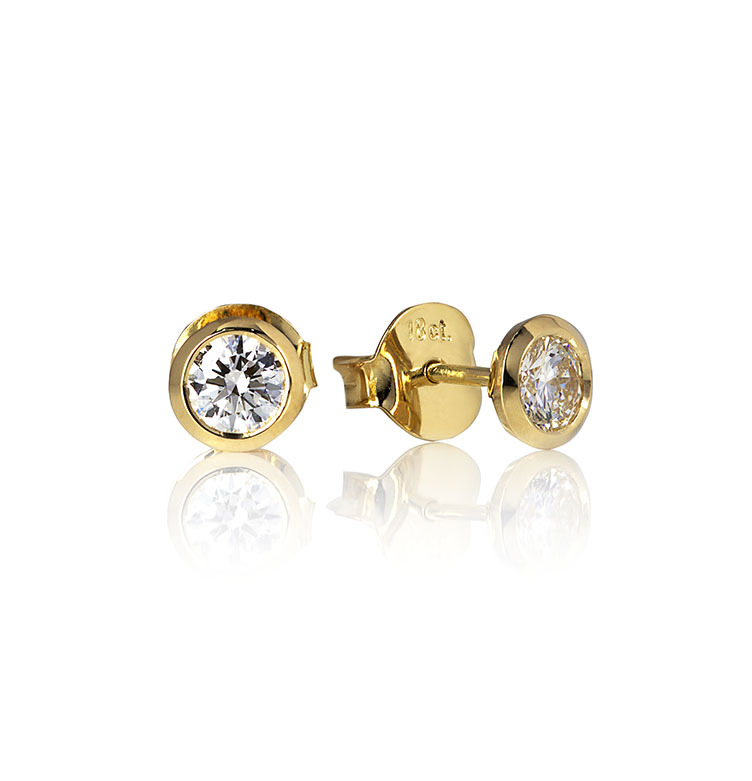 Diamond studs, featuring a bezel setting crafted in 18ct yellow gold. 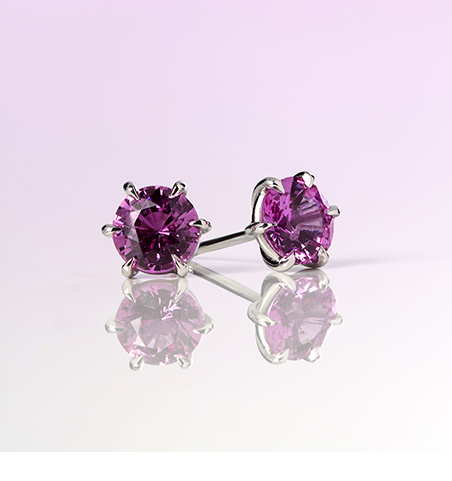 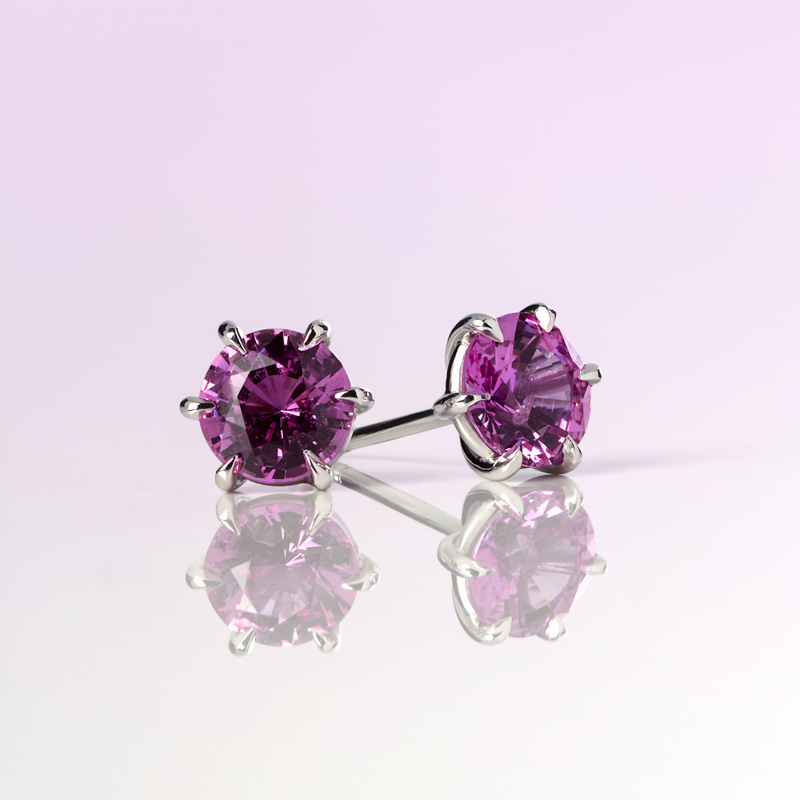 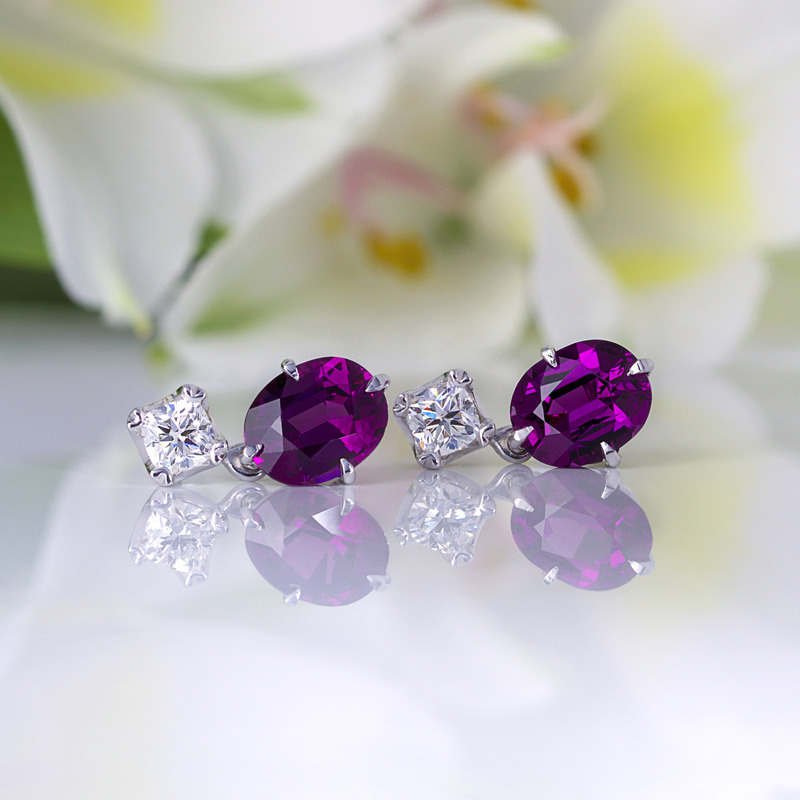 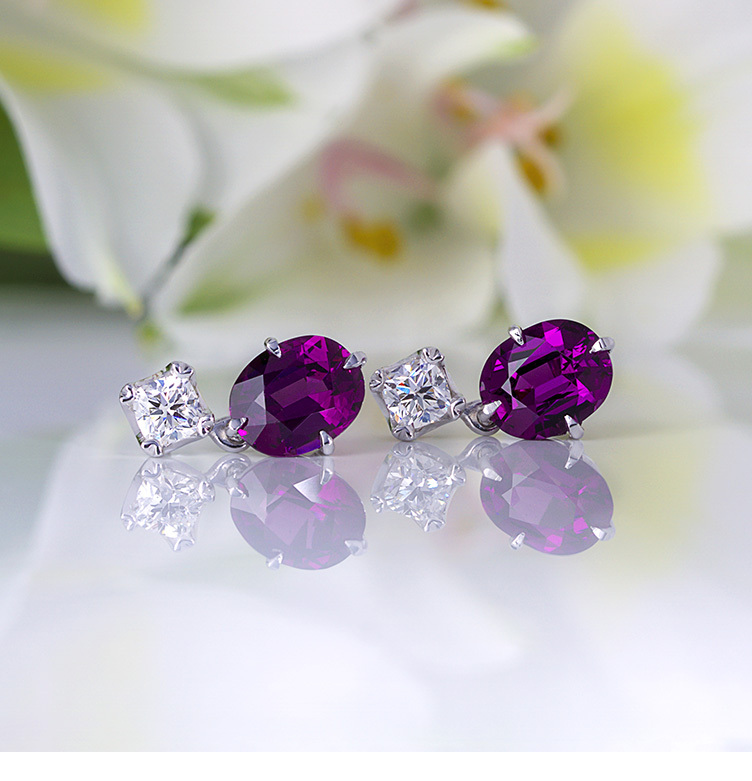 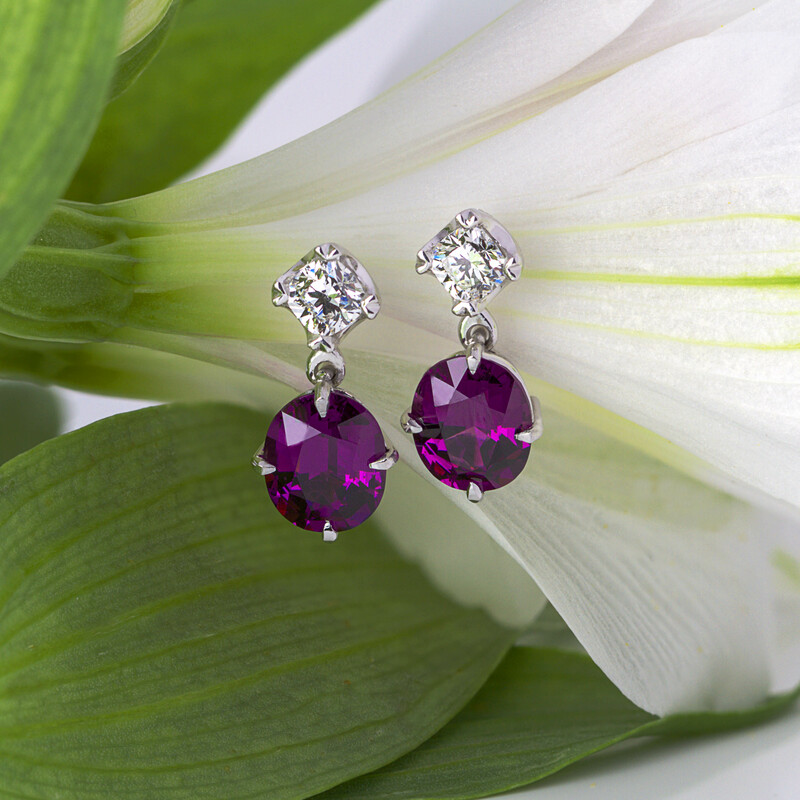 Vibrant hot Pink Madagascan Sapphire stud earrings handcrafted by Matthew in 18ct white gold. 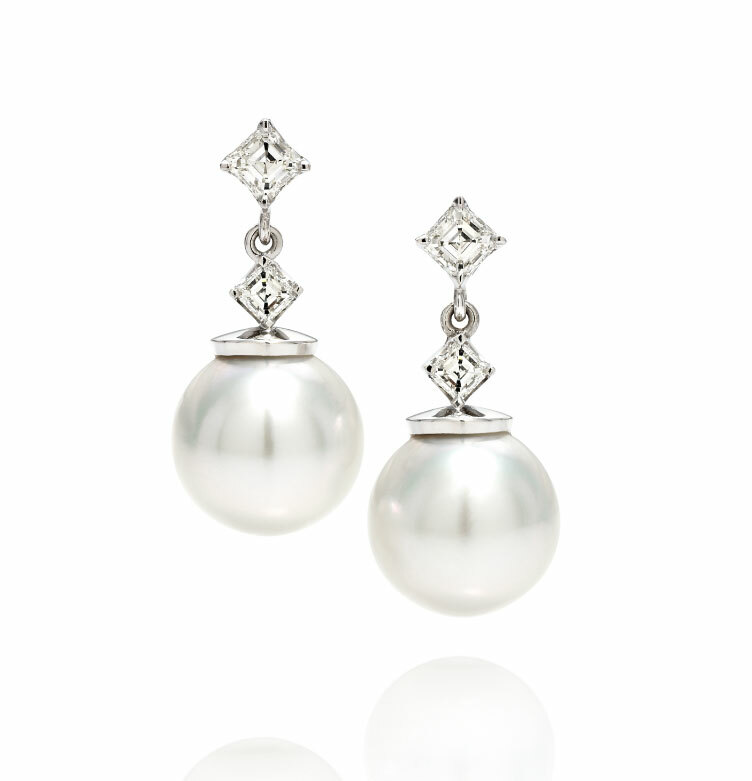 White Australian South Sea Pearl earrings with asscher cut diamonds, handcrafted in 18ct white gold. 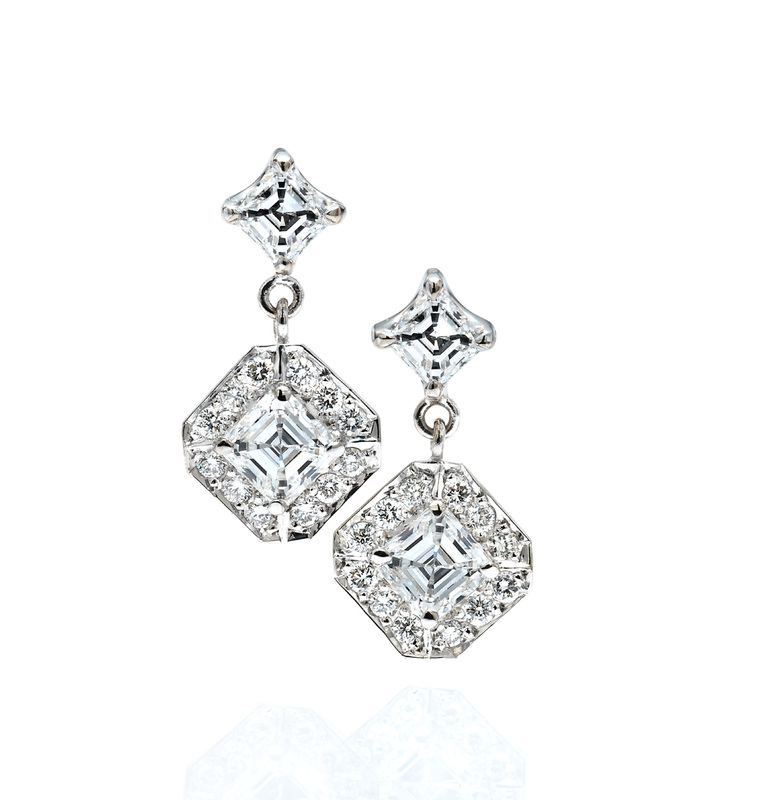 Asscher cut diamond earrings with diamond surrounds, handcrafted in 18ct white gold. 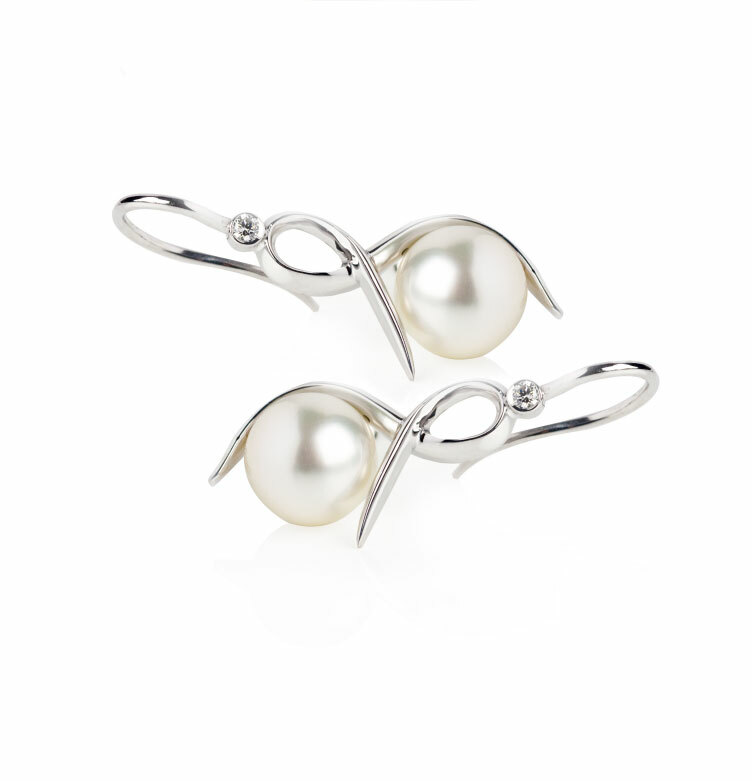 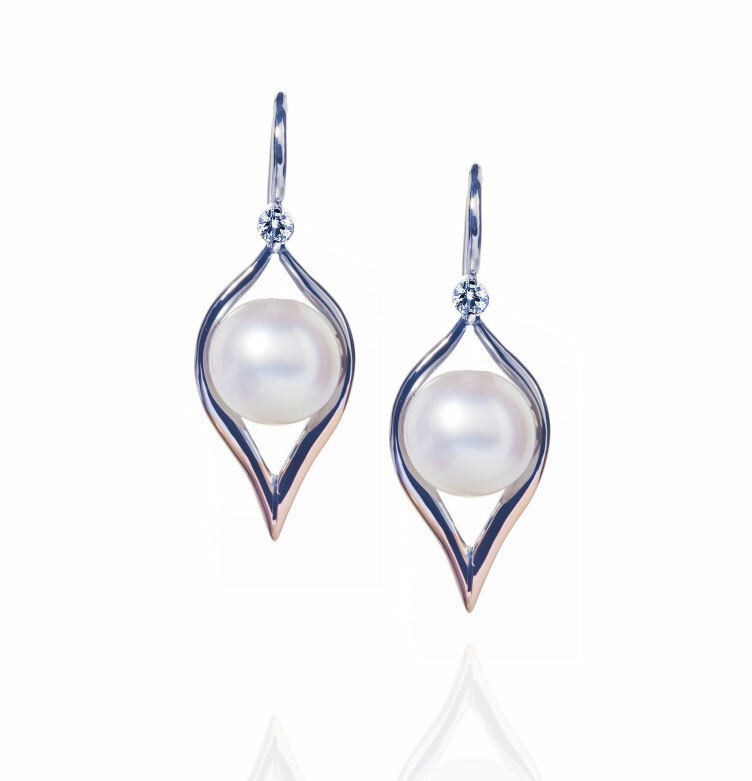 White Australian South Sea Pearl earrings with round brilliant cut diamonds, handcrafted in 18ct white gold. 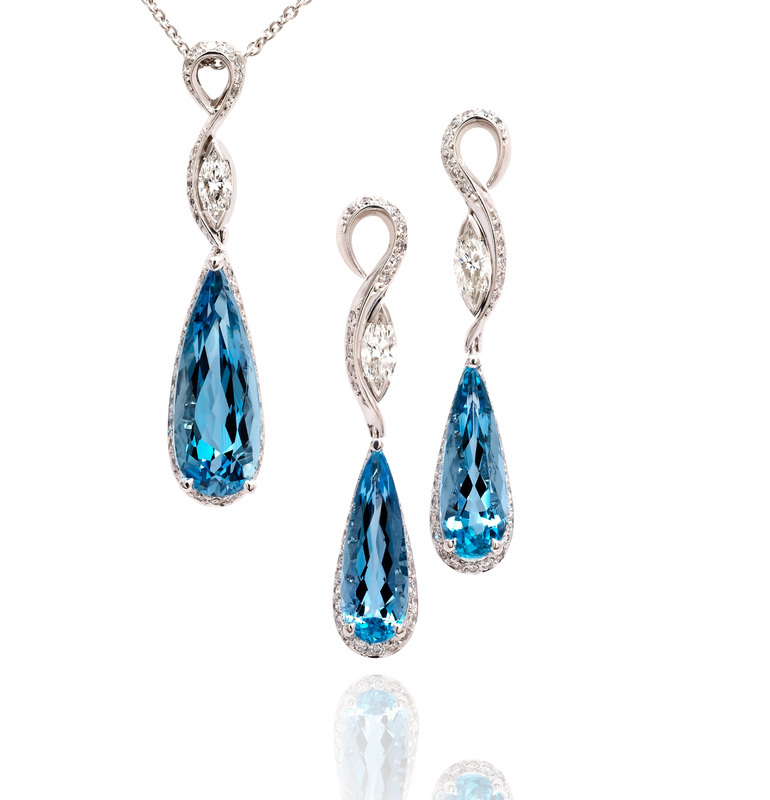 Aquamarine teardrop and Marquise diamond earrings, handcrafted in 18ct white gold. 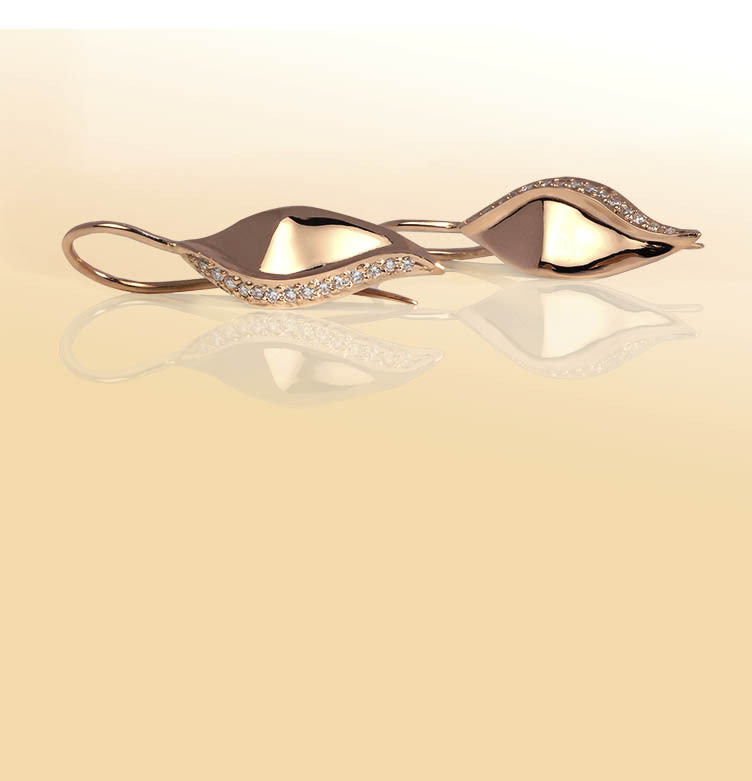 Matching Pendant shown. - Available in Studio . 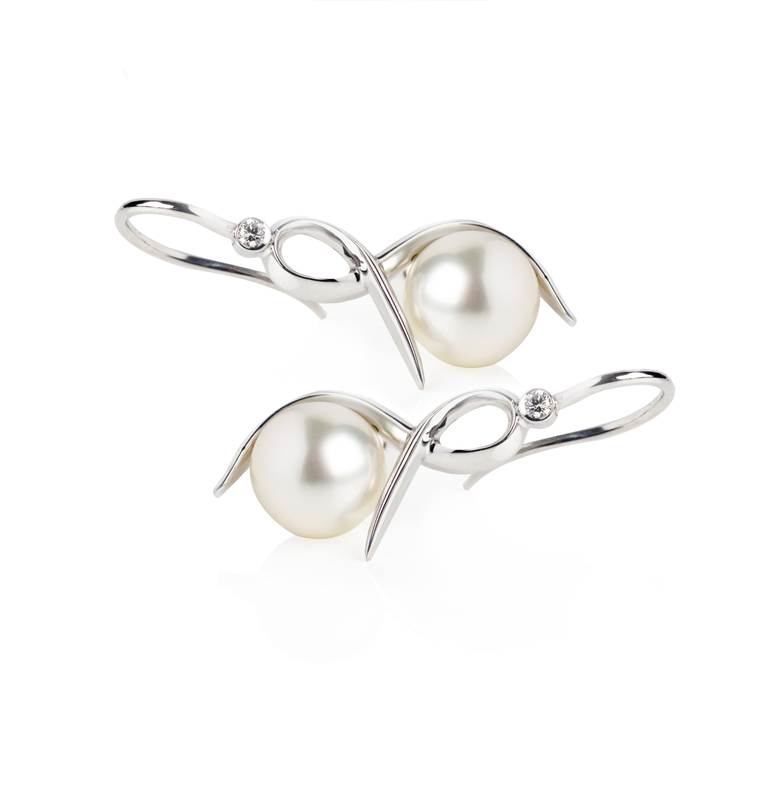 White Australian South Sea Pearl earrings in leaf design, handcrafted in 18ct white and rose gold. 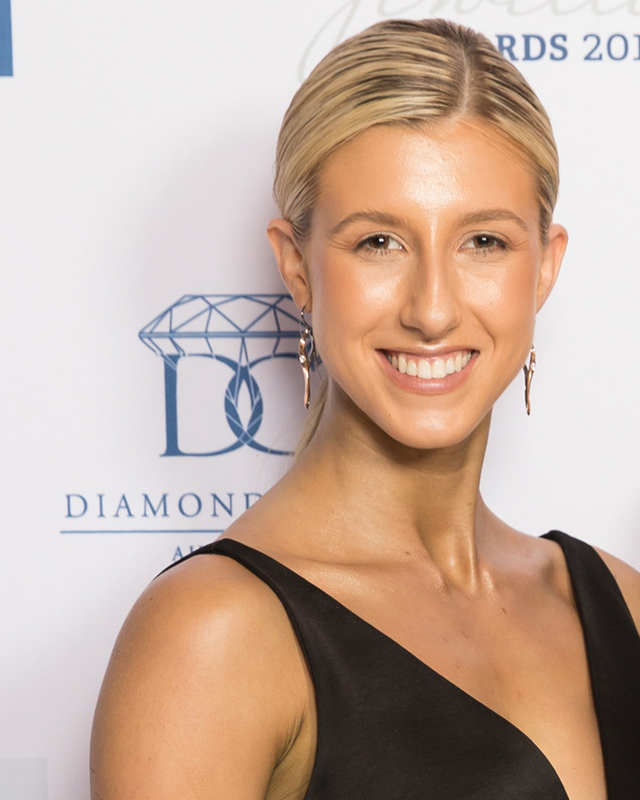 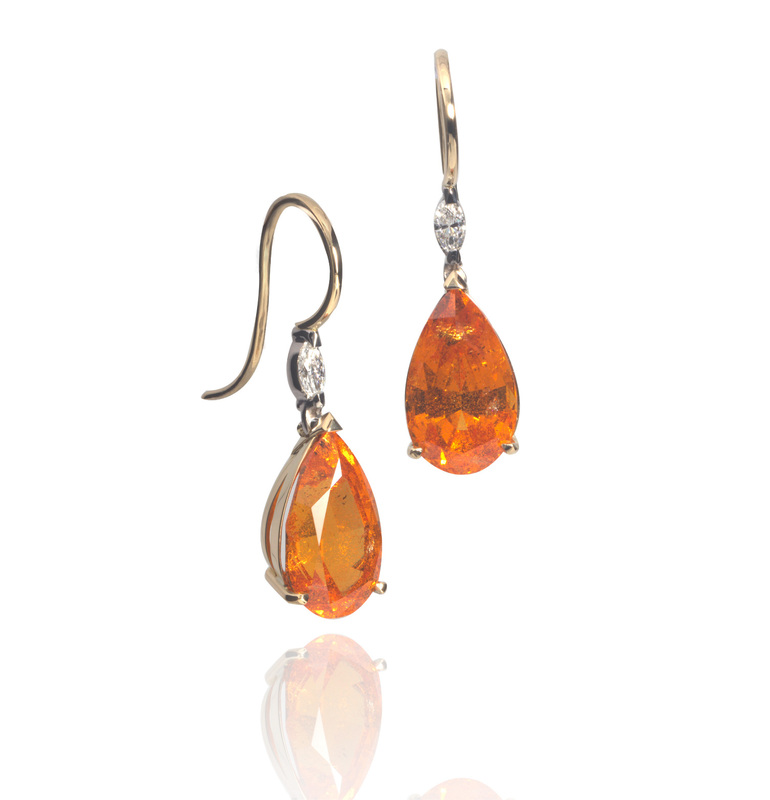 Mandarin Garnet and Marquise diamond earrings, handcrafted in 18ct white & yellow gold. 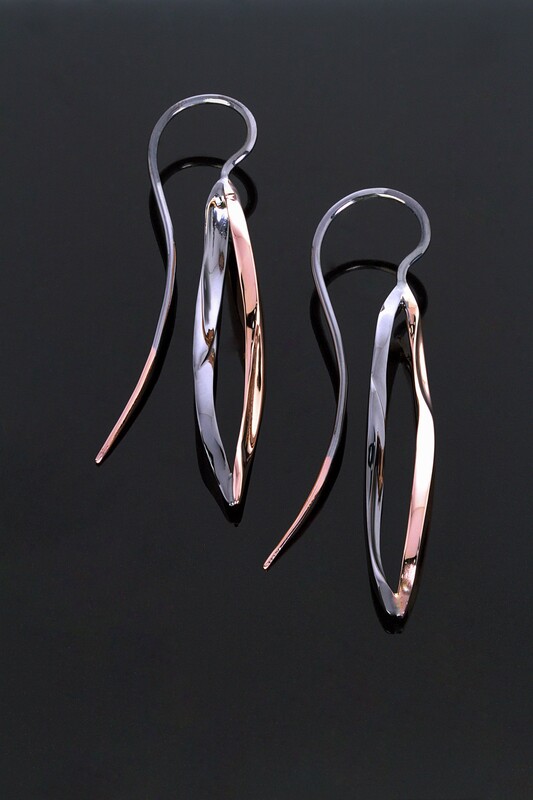 Finished earring length of 55mm. 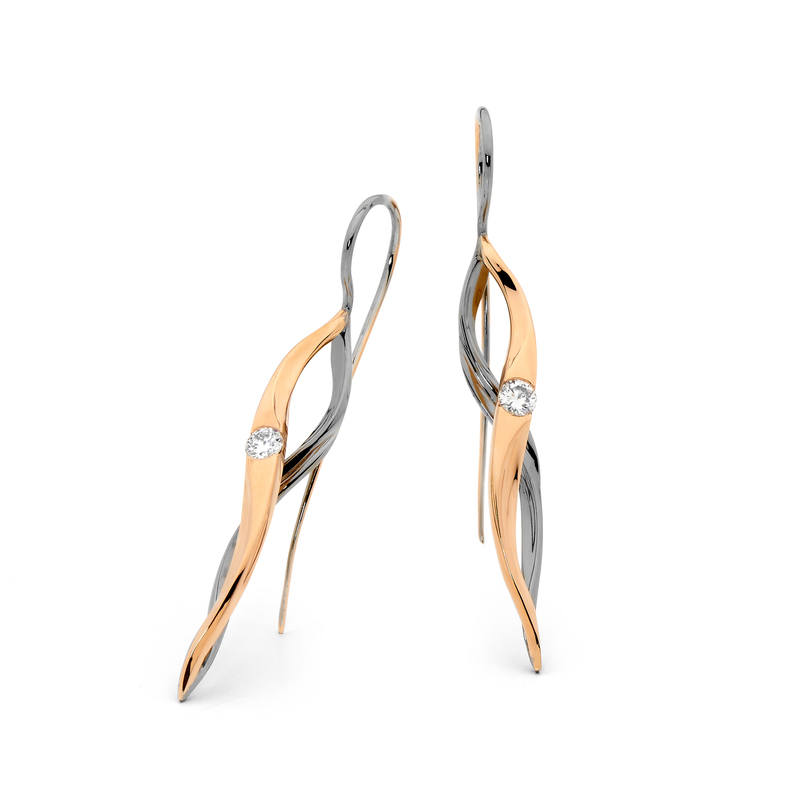 Finished earring length of 45mm. 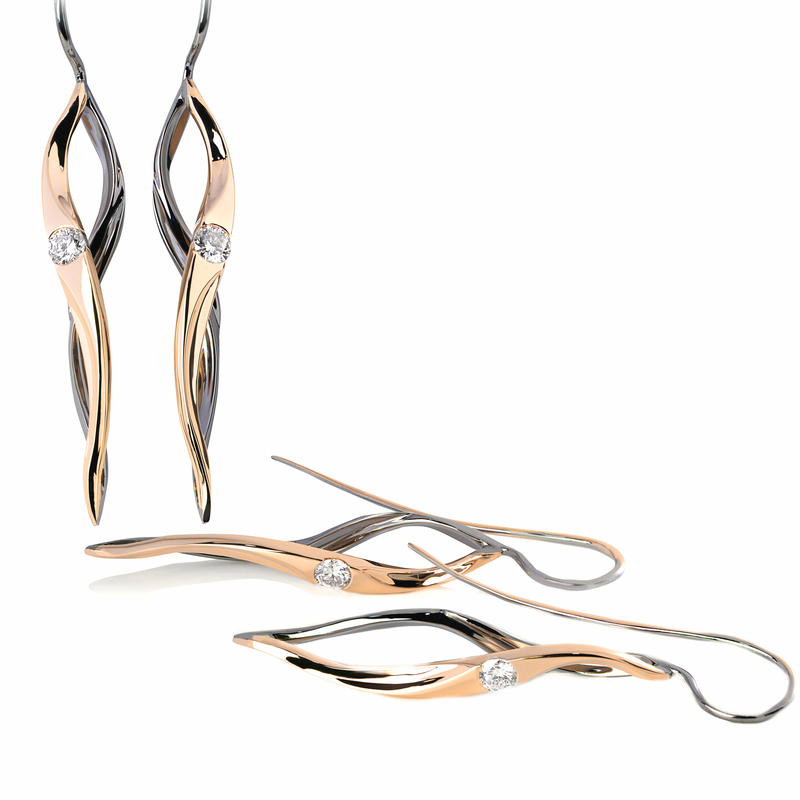 Content and images are copyright (C) 2015 All rights reserved.